Ralph Roddenbery, Donna Hopkins & Steve “Big Daddy” McMurry@ Red Light Café FEB 4! The Frank Hamilton School is thrilled to present this incredibly dynamic trio of singer/songwriters/performers and we REALLY hope you can make it on out. Each musician is unique, and they blend together for a wonderful symmetry of sounds. Ralph Roddenbery, Donna Hopkins, and Big Daddy are going to bring it, and we hope you’re there to receive it! Below is a great video of Donna Hopkins and Ralph Roddenbery at Suwannee Roots Revival at the Spirit of the Suwannee Music Park last fall with a full band backing them – enjoy! A special thanks goes out to Richard Baumgarten for recording this set! The next video is Big Daddy with his absolutely amazing band Acoustic Syndicate (one of my absolute favorites!) and it’s a five video playlist. Enjoy! TDawg’s Back Porch Hootenanny Lineup Change! Howdy y’all! Jason Kenney was invited to open for Amy Ray (Indigo Girls) on a series of five dates, of which one is Saturday, September 20. Congrats to Jason on this great opportunity – it’s always great to see folks from Hootenanny family do right! 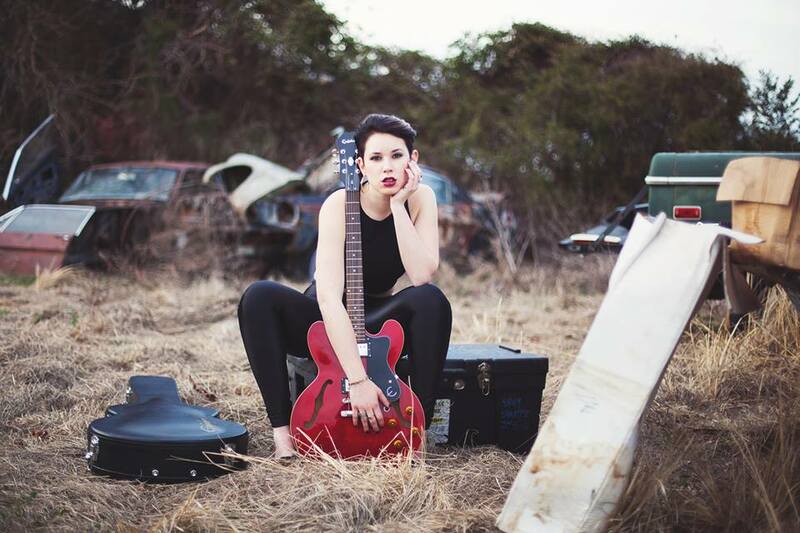 Please welcome up and coming vocalist Hannah Zale into the Hootenanny mix! A bright rising star who resides in Athens, GA, Hannah will turn some heads! 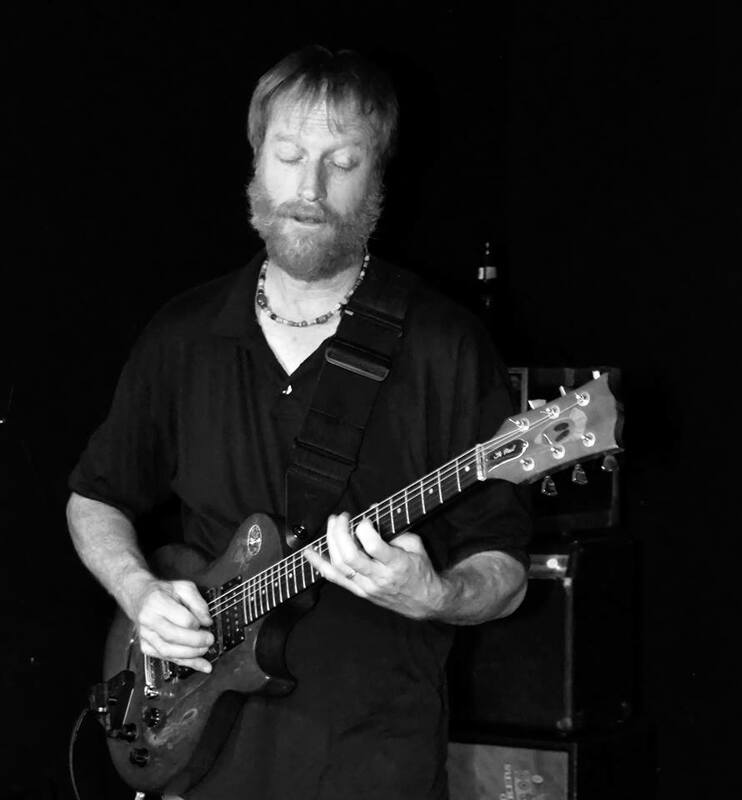 Also, TDawg Presents is excited to have the superior guitar mastery of Ted Norton (The Grapes, Ralph Roddenbery Band) joining the Fall Hoot as an at-large artist! Ted will also be performing on Friday night as part of Sam French & Friends! 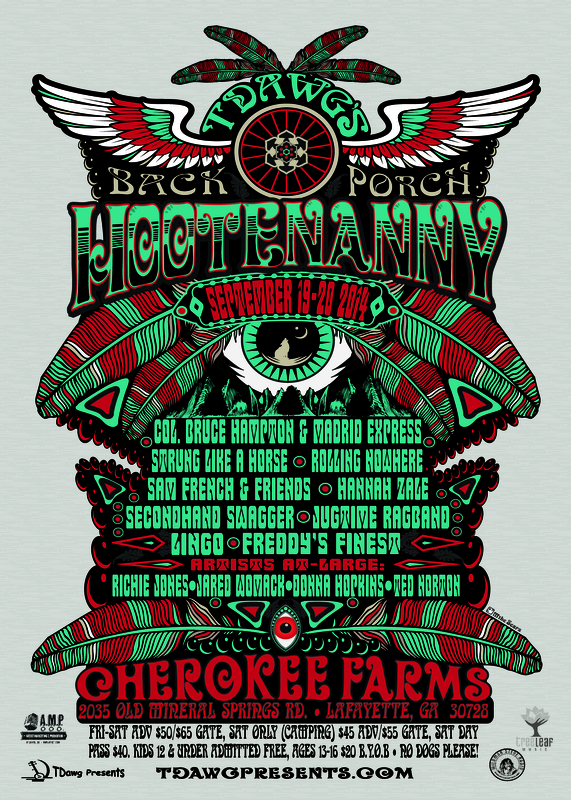 The Hootenanny movement doesn’t skip a beat, and you know it’s going to be off the chains this fall. Meanwhile, don’t forget to mark your calendar for Saturday, August 9, at Music On Main Street in Lilburn, GA for the first installment of TDawg’s Summer Hoot! The lineup features the legendary Grant Green Jr., jazz/funk trio DynOMite, and local rising band The Jugtime Ragband. Some Great TDawg Presents shows in March! TDawg Presents is excited to be partnering up with Terminal West in Atlanta (THU 3/20) and Georgia Theatre in Athens, GA (FRI 3/21) to promote two special nights featuring flat-pick extraordinaire Larry Keel opening for some upstart bluegrass/jamgrass fellas one night and a true living legend of the music the other. 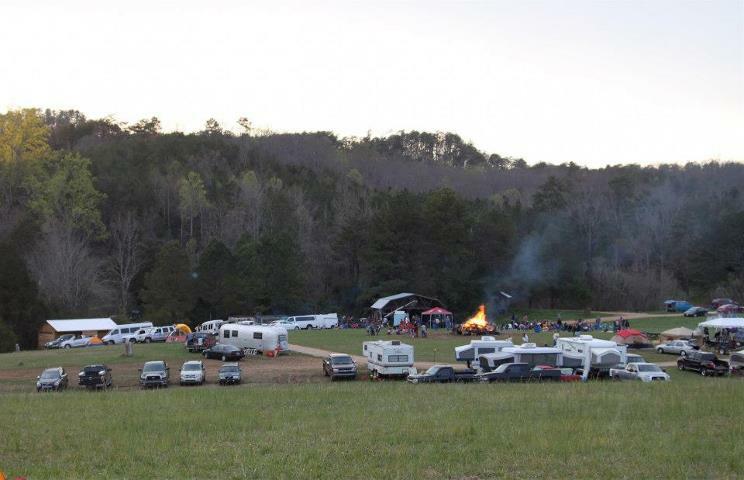 GREENSKY BLUEGRASS will headline at Terminal West on March 20 and SAM BUSH will headline at the GA Theatre on March 21. You can’t really go wrong with these two shows! Following these two stellar nights of some mighty fine sounds, come on over to the Red Light Cafe on SAT MARCH 22 for an evening with Grateful Dead Hour host and well-respected songwriter/performer/author David Gans and Ohio-based Rumpke Mountain Boys. Please read below for more details. Featuring some of the freshest energy to hit the the bluegrass and jamgrass scenes in a while, Michigan-based Greensky Bluegrass has been absolutely tearing it up across the country and show no signs of stopping! My good friend and bluegrass buddy Larry Keel, regarded by most as one of the finest flat-pick guitarists on the planet, will open the show and sit in with Greensky. Come early and have dinner at Stationside, which is an extension of Terminal West and quite delicious! Founding member of legendary newgrass pioneers New Grass Revival, Sam Bush is known by all as King of Telluride and King of Newgrass, among many other accolades! He is truly a living legend & mandolin maestro (also national fiddle champion at 17!) and shows absolutely no signs of slowing down, nor should he. Always a treat to see Larry Keel perform alongside Sam Bush – I’m sure you’ll see something of the sort! There is wonderful rooftop restaurant at the Georgia Theatre for you to enjoy before, during and after, as well as the scene around town that makes Athens, GA one of the finest college towns in the country! songs with a host of others, including Jim Page, Lorin Rowan, and Robert Hunter.